Price of Valor is the third volume of Wexler’s Shadow Campaigns series, which has been popular among readers and critics alike. 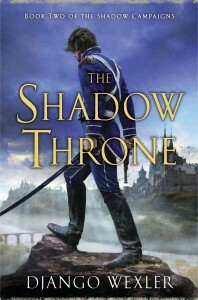 Reminiscent of the Orbit Books’ covers for Brian McClellan’s Powder Mage series, the covers of all three novels embrace the themes of colonialism that run through Wexler’s series. As a proper English-speaking blogger, I am, of course, upset that they forgot the ‘U’ in the word ‘Valour,’ but I shall let it slide, forgiving the transgression as a result of the overall Ammmmuuurrriccaaannnaaaa design of the cover. And so, as a cold-blooded Canadian, I’d have much preferred to see the Eagle on the flag replaced with a piece of bacon, the sabre with a wood axe, and the military uniform tossed aside in favour of a nice Canadian Tuxedo. ‘Cause, hey, there can never be enough Canadiana in the world, right? The cover art for The Price of Valor is by Paul Youll. 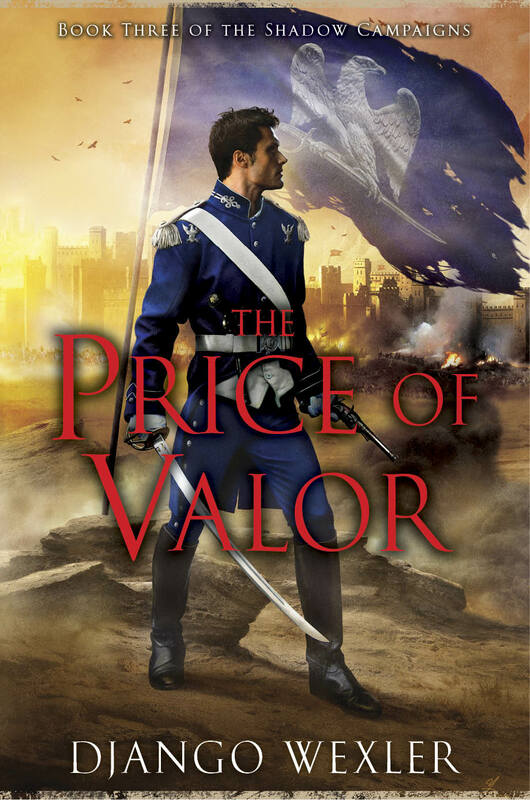 Price of Valor is coming from Roc Books in July, 2015. 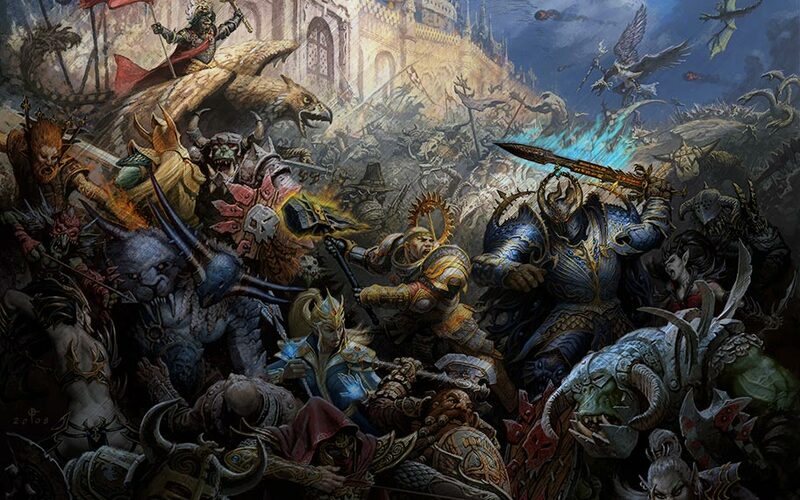 I’ve read an awful lot of fantasy, and watched an awful lot of anime, and both canvases are incredibly broad and notoriously hard to characterize. 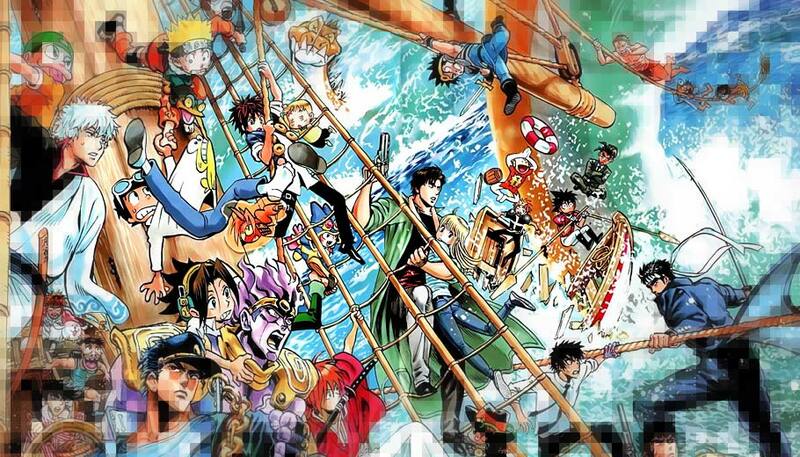 When first discussing this essay, comparing and contrasting the traditional hero narrative in fantasy fiction and anime, with my friend Casey Blair, I found myself in a bit of difficulty. I’ve read an awful lot of fantasy, and watched an awful lot of anime, and both canvases are incredibly broad and notoriously hard to characterize. Fantasy, after all, includes classics like Lord of the Rings, heroic secondary-world epics like The Wheel of Time, wainscot fantasy like Harry Potter, and the magical realism of The City & The City, covering sub-genres like urban fantasy and steampunk in between. It’s very hard to write a coherent comparison that covers both C.S. Lewis’ The Chronicles of Narnia and Max Gladstone’s Three Parts Dead, for all that we shelve them in the same genre. Starting with Tolkien, it’s become practically obligatory that the epic fantasy saga, somewhere around the middle of book three, feature an Epic Confrontation Between Good and Evil with a Cast of Thousands.